Twilight Moms has several reports from their set visit during the recent reshoots. Caution: They do contain spoilers! You can see them here as part 1, part 2, and part 3! 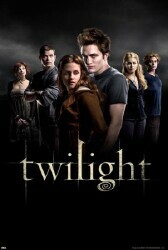 AllPoster.com has some new Twilight posters here! And the best part? They’re only $6.99! 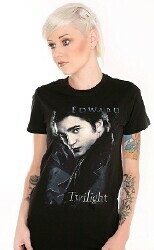 That new Edward t shirt is now available on Hot Topic’s website! Voote.com has a poll on the Hottest Actresses Under 20 which includes Kristen Stewart! This week’s music is Whole Again by Jakob Martin. 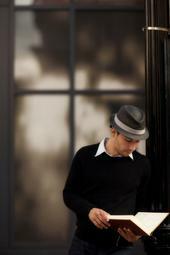 You can check out more of his music at his MySpace page! Posted in Book News, Featured Articles | Comments Off on Twilight Mass Market Paperback! Novel Novice has an exclusive interview with actor Solomon Trimble, who plays Sam in the movie! To read all that he had to say, click here! Log in | 77 queries. 1.151 seconds.